Sprint might be the least popular of the nation’s “big four” wireless service providers (at least until T-Mobile earns all necessary approvals for its proposed merger with the “Now Network”), but sometimes, snubbing T-Mo, Verizon, and AT&T can save you a small fortune on the purchase of a new high-end smartphone. Case in point, a mind-blowing Best Buy deal available right now that allows you to pay a measly grand total of $167 for the LG G7 ThinQ on Sprint. Yup, less than 200 bucks can get you a Snapdragon 845 powerhouse with a sharp 3120 x 1440 6.1-inch display, more than decent 16MP dual rear-facing cameras, 4GB RAM, and 64GB internal storage. You’re obviously looking at device payment plans and monthly bill credits here, but also a $193 instant discount. 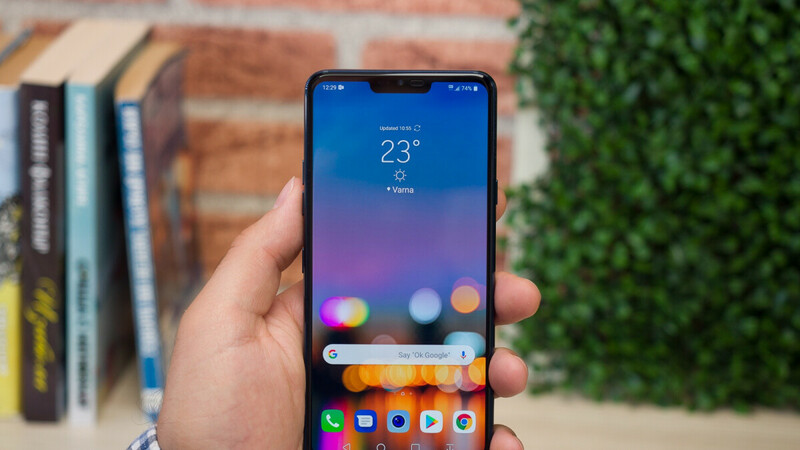 Basically, instead of coughing up $33 every 30 days for two years, LG G7 ThinQ buyers will need to pay just $24.95 a month, of which a whopping $18 will be returned to their accounts in the form of bill credit. Speaking of accounts, both new Sprint activations and “eligible” upgrades qualify for this amazing promotion, which however has no specific expiration date listed in its otherwise crystal clear terms and conditions. As such, you may want to hurry and purchase the G7 ThinQ as fast as possible in exchange for only $6.95 a month after instant savings and bill credits with no down payment for “well-qualified” customers. Keep in mind the “notchy” handset normally fetches around $800, although a number of retailers have obviously reduced that list price lately in an unlocked variant as well. That said, $167 is clearly the cheapest anyone has ever been able to buy this thing regardless of carriers, plans, conditions, and requirements. lol i pay 8$ a month for my s9+, this is not a good deal. Does it come with a box of Bootloops? LG leaves a lot to be desired when it comes to build quality and stability. The recent Bootloop issue isn't going to mitigate that fear. This comment doesn't get anymore ignorant or misinformed.